This is the official latest standard issue for the UK Police force. The TCH model 840. This edition has keyholes on one side only for security reasons. 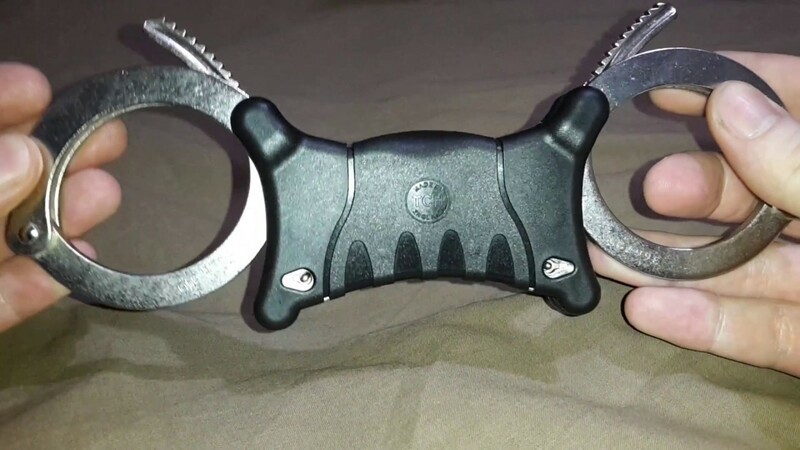 This helps to prevent or limit the chance of an offender using tools or keys to escape from the handcuffs. TCH stands for "Total Control Handcuffs" and is a rebranding of the old HIATT or HIATTS cuffs. They are still made in England using the same factory. Safariland acquired Hiatt sometime around 2010 and after some failures of trying to absorb HIATT into their own branding, they have decided to revert and keep the HIATT brand as a sub-brand of Safariland due to global recognition of the HIATT brand. So, everything that HIATT had is brought through into the TCH range. Essentially they are one and the same, TCH, Safariland, HIATT. Perhaps in the future new innovations will begin to distinguish TCH from it's HIATTS past. These are very solid, rigid handcuffs. They allow an officer to have maximum control over a suspect by limiting their movement more effectively than with chain linked handcuffs and having the capability to use the cuffs on pressure points in the wrist to help subdue violent criminals to effectively restrain them. Kind of how martial artists can use pressure points. An interesting note is the depressions or markings on the back side that show where the keyholes would be created on a pair of Model 842 (I have a video on that model too). This is likely to decrease the cost of production by providing markings for machining the plastic for that model. Or perhaps a demonstration of keyhole placement so people can decide which model they want? This is unknown and has no bearing on the function of the handcuffs. Very nice handcuffs. However I would like to see the UK Police force transition to hinged handcuffs to still maintain the pressure-point and movement restriction capabilities while at the same time offering a little bit extra comfort for the person. These are great for violent people in my opinion but might be a bit over-kill for an average joe who gets into an argument and is escorted to the station in these. Still, they are high quality and perfect for what they are designed for. Plus they fit larger wrist sizes as these only come in the "Superior" size model. 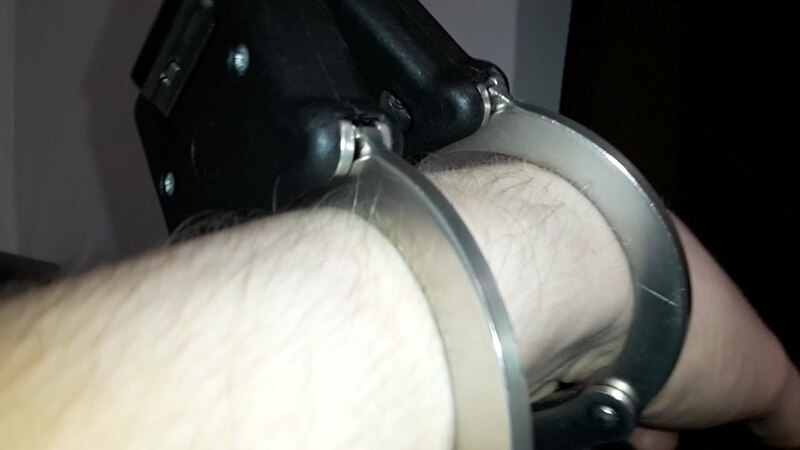 For fitting smaller wrists police officers can acquire the TCH handcuff recuder, which is also overviewed on my channel.